Tony Stone from the NHS gave a talk titled “The Local Ambulance Service and the Role of Paramedics". 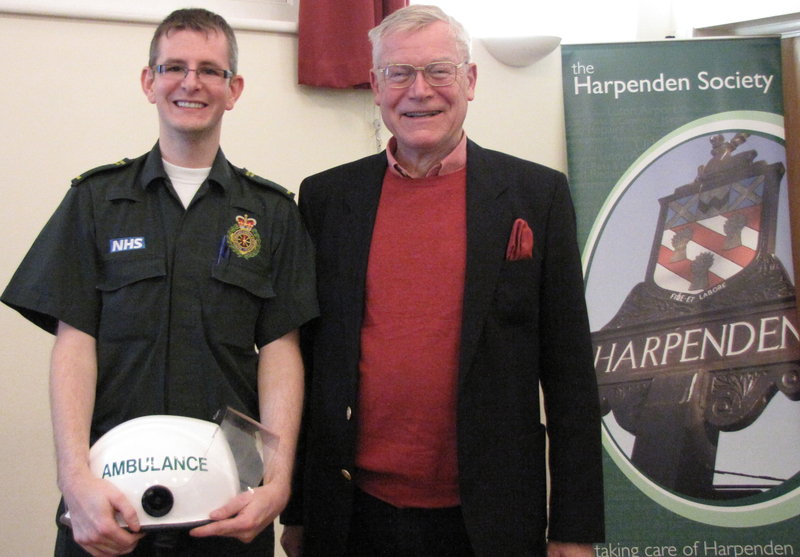 Tony’s talk covered the paramedic emergency medical services for Harpenden. Tony Stone explained the difference between the traditional ambulances and the quick response cars based at the Harpenden Red House and how they both liaise with other emergency medical services. Details included how the ambulances are dispatched and how they are staffed as well as the training given to the drivers and medics, how patients are assessed and where they are taken to. Tony also described how the general public can assist by recognising life threatening medical conditions and carry out very basic first aid including dealing with major bleeding, assisting breathing difficulties and how to cope with an unconscious casualty. Heart problems were also covered including cardiopulmonary resuscitation better known as CPR. Less familiar aspects of the service were described, including the Hazardous Area Response Teams who work alongside the other emergency services to retrieve and treat casualties in dangerous environments.